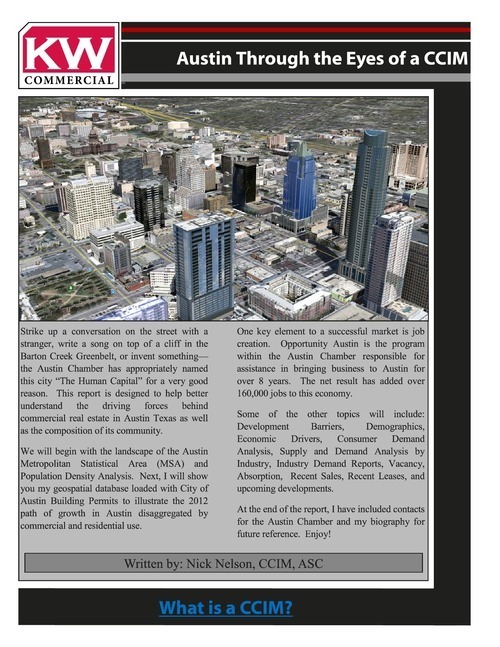 Nick Nelson, CCIM Makes Us Proud with this Austin MSA Economic Update! 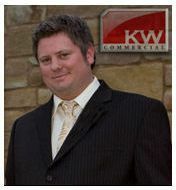 NELSON AWARDED CCIM April 25, 2012!! I gave an economic update on the Austin real estate market to the Houston Gulf Coast CCIM Chapter on August 9th and thought you might find the report interesting. Did you know we have over 180,000 students in our area? Or, the new F1 race is expected to bring so many attendees it will increase our MSA population by 17% on race days? To show the path of growth I geocoded every permit issued in Austin From Jan 1- July 14 2012. I think you will find the path of growth surprising. Please click here to download a copy of my report.